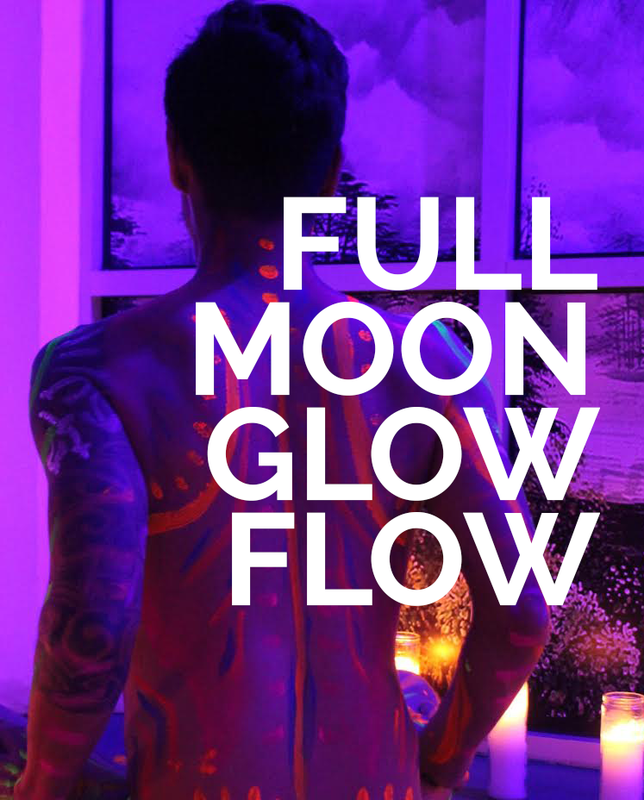 Kick off the 4/20 weekend with Medicated Mavens under the full moon at Totem Yoga. The April full moon, or Pink Moon, signifies the birth of spring, and falling in the sign of Libra, it strengthens the desire for balance. This moon calls for compassion over arrogance, and humility over conceit, particularly regarding self-love and personal relationships. We will explore these intentions during this upbeat class with BODY PAINT, fun music, a custom light-show and ending with Tibetan bells and bowls! All levels class. DOORS OPEN AT 6PM; class begins at 7pm. Please bring a yoga mat. This is a medicated class so BYOW if you wish. This class will invite you to find serenity within and explore fresh beginnings. Fall in love with yourself. Dispel tension. Energize. Harmonize. The energy of the full moon is a time to reap the rewards we have sown by accepting our intentions and celebrating. Research has found your heart is at peak capacity during a full moon, while your brain becomes more erratic, meaning, this is the perfect opportunity to move your body and get weird with us! This is an upbeat class with BODY PAINT, fun music, a custom light-show and ending with Tibetan bells and bowls! This class will invite you to let go and receive your intentions. The energy of the Sagittarius last quarter moon encourages us to have a positive outlook on our surroundings. Let’s embrace this energy in an effort to release, restore and shift into an optimistic approach to our lives and those surrounding us. In this faster-paced flow class, expect to discover your “oneness” and build, strength, confidence, and grace in the mind and body. This is an upbeat class with fun music, a custom light-show and ending with Tibetan bells and bowls! Please bring a yoga mat and this is a medicated class so BYOW if you wish. The organs influenced by Sagittarius Moon are Liver, Sacrum, Tail Bone, Hip muscles and Lumbar Vertebra. The class is designed for these organs in mind. This class will invite you to let go and begin again. Cultivate your consciousness with a combined practice of mindful movement and CBD education. This class awakens all 5 senses, incorporating aromatic oils and delicate massage. Students are guided through simple yoga postures, meditation & breath awareness, and CBD knowledge. Benefits of our holistic practice include chronic stress relief, increased flexibility of body & mind, and healing from within. Grab a friend and join us for an evening of pure antioxidant-boosted bliss. This delicate all levels yoga & meditation class will be paired with the flavors of Cacao and Cocoa to leave you feeling relaxed and radiant. You are sure to notice sustained feel-good energy, improved circulation, and enhanced mental clarity. Our faster-paced Dope Down Dog classes are athletic in nature helping you build strength, confidence, and grace in the mind and body. Classes were designed with the busy yogi in mind who wants a quick yoga burn, basic yoga postures, and breathe worked linked together in a muscular way blending an ancient practice with modern day cardiovascular work. This class is outside under the moonlight in Domm's courtyard. 18+ and your state medical marijuana card are required for entry otherwise, all are welcome. Please have your medical card and state ID so we can make copies for our records. Everyone must sign a waiver, for liability reasons, and to indicate patient status. Class Materials - A yoga mat, water, in addition, dress comfortably. Optional Cannabis - all medication shared is patient to patient so bring whatever you prefer as well as respected devices. Driving while impaired is dangerous. Medicated Mavens do not promote or condone any use of driving while under the influence of cannabis. We encourage every student to utilize a ride-sharing app or car-pool to save the environment and to protect the safety of them and others. Please use the code "medicated mavens" when utilizing Lyft to receive $5 off up to 4 rides! 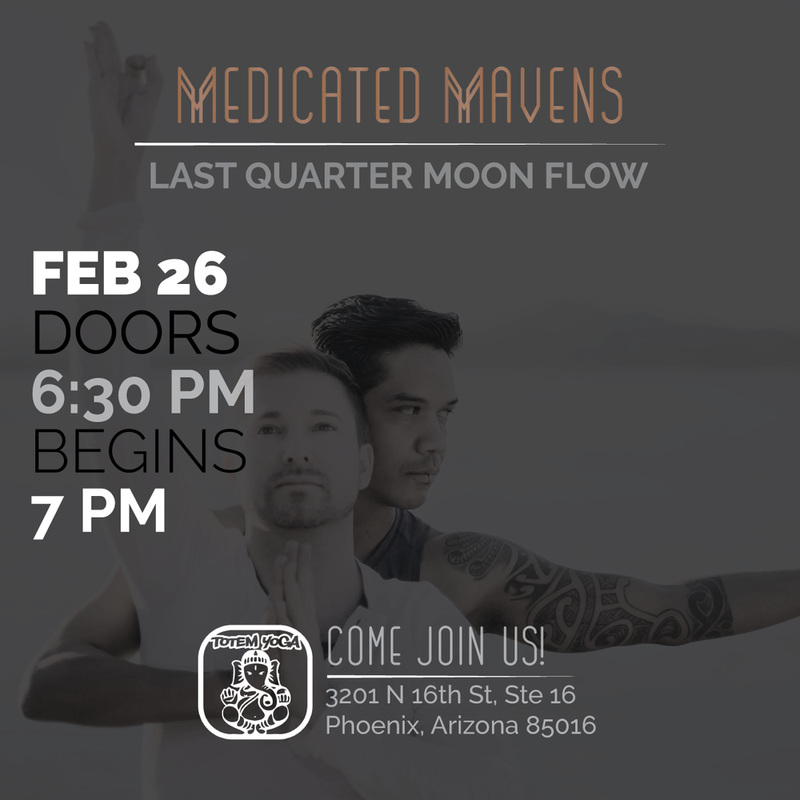 Join us for a guided meditation & gentle movement with the Medicated Mavens.